Dreading a Reply to All nightmare with your email message? 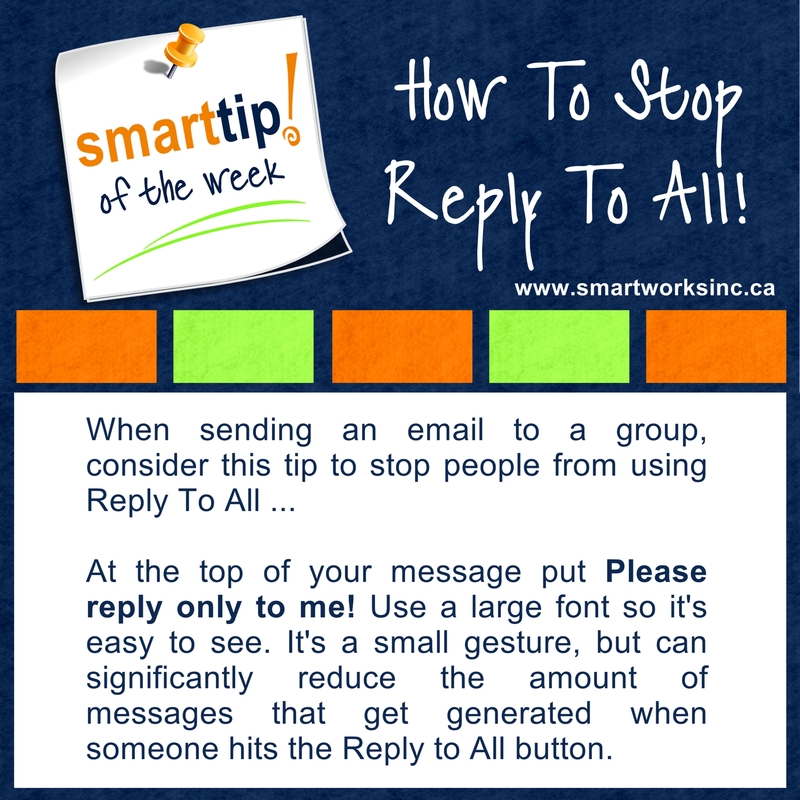 Before you hit ‘send’, try this Tip Of The Week! for a simple solution.